Everyone has someone in their life who has a sweet tooth. Now it's time again to come up with something special for their big day -- a birthday, anniversary, graduation, or some other occasion worth celebrating. 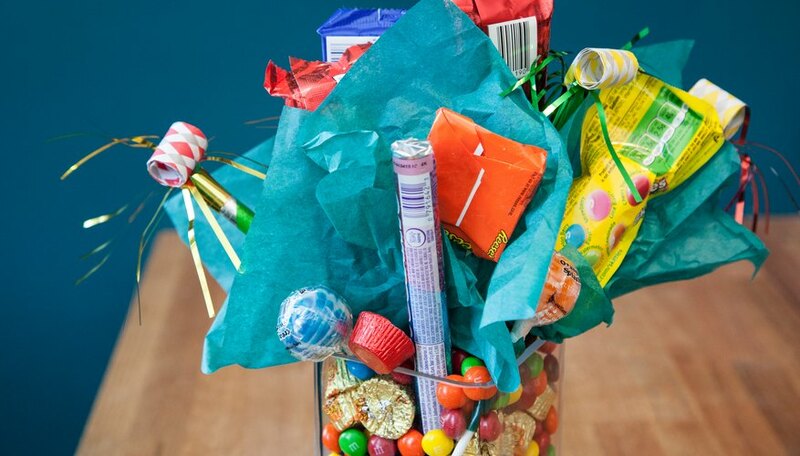 A bouquet made of candy bars is a creative way to lavishly show them you care. The great thing about a candy bar bouquet is that you can make it yourself in less than an hour. Purchase supplies at a craft store, such as Hobby Lobby or Michael's. If you plan to make a large bouquet, consider going to Costco or Sam's to pick up the candy bars. Fill the vessel -- vase or basket -- with hard candies. This can be a sea of Red-Hots or just a bunch of peppermints, but make sure they fill the vessel high enough so they will support the skewers. Warm up the glue gun. 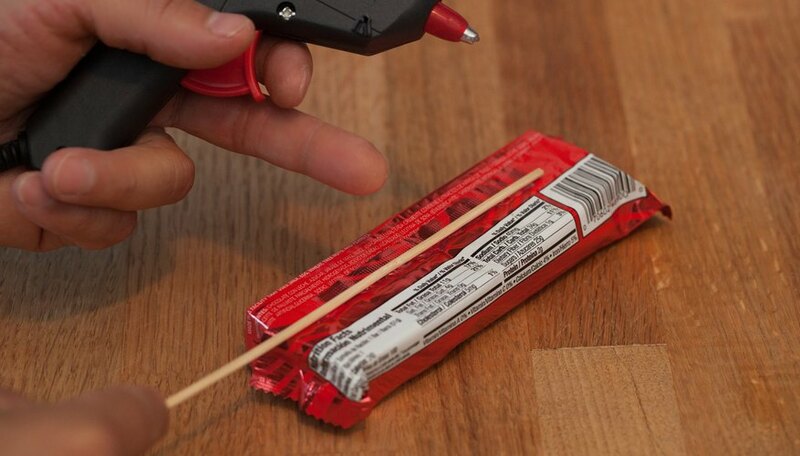 Once the glue is hot, put a strip on the back of the first candy bar, then secure the wooden skewer to the glue. Repeat with each candy bar. Cut the tissue paper into large (at least 6-by-6-inch) squares. 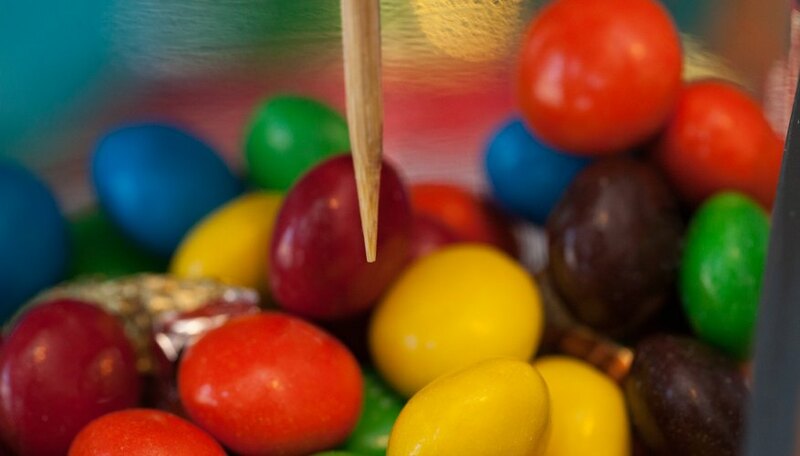 Poke the free end of the skewer through the center of the square and pull up to frame the candy bar. Push each skewer into the hard candies. If desired, cut some of the skewers so the height of the candy bars are staggered. Arrange with equal distance between each skewer.